Lefse is a Scandinavian Christmas treat you will want to add to your holiday traditions. Lefse look like tortillas, but they are made with potatoes. 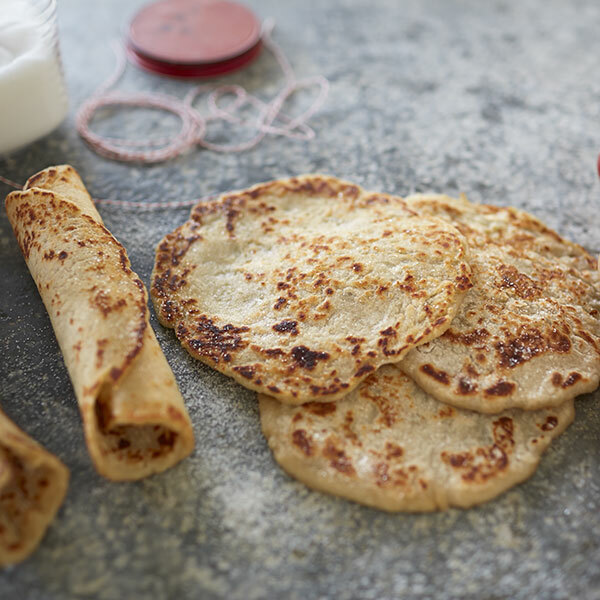 This Lefse recipe recommends serving them rolled up with butter and sugar. But feel free to experiment to find your family's favorite filling. Boil potatoes until tender. Run hot potatoes through a potato ricer. Place into a large bowl. Stir butter, cream, salt and sugar into the hot, riced potatoes. Let cool to room temperature. Stir flour into the potato mixture. Pull off pieces of the dough and form into walnut-size balls. Lightly flour a pastry cloth and roll out lefse balls to ⅛-inch thickness. Cook on a hot (400°F) griddle until bubbles form and each side has browned. Place on damp towel to cool slightly, and then cover with another damp towel to keep warm until serving.